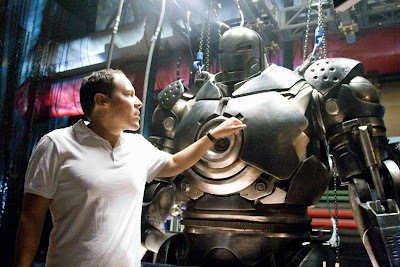 The man behind Iron Man Jon Favreau chats to CBR about 'Iron Man 2', shell heads 3rd outing and Avengers. CBR: You just finished shooting “Iron Man 2” a few weeks ago. What’s it like coming to CCI so quickly after you wrapped and showing footage to over seven thousand excited fans? JON FAVREAU: It was scary coming in. That’s the problem. Remember that Bugs Bunny cartoon where Daffy Duck drinks the gasoline, lights himself on fire, and it blows up and everybody claps? It’s like, what do you do for an encore? Like last time around we put it all out there because we had a lot to prove. Last time when we were here, we were the underdogs. If you remember, the first time I showed the stuff, everybody was waiting to see “Indiana Jones” and on the other side was “Star Trek.” They just stuck us in there and we knew that we had to fight our way to get attention because we were the runts. This year it’s ridiculous, but even then there were hundreds of properties that were fighting for attention and to emerge as one that was talked about is not a small feat by any stretch. So we knew we had to show a lot of footage. Several superhero sequels have fallen into the trap of introducing too many new characters and villains that distract from the main story. Did you avoid that problem on this film? We had to walk a fine line. I think you’re good for number two. Two seems to be the charm because you got the origin story out of the way. You can add some complexity to it and you have room because you don’t have to tell the origin story to introduce new characters. When you get to number three you can get hidebound. You’re like a beached whale sometimes because you have so much story, you collapse under the weight of the complexity that you create. We looked at the successful sequels that we liked. I’m not talking about “Two Towers” or films that are chapters based on novels like “Harry Potter.” I’m talking about true sequels. The two that we liked the most, this was [Marvel Studios executive] Kevin Feige and I talking, were “Wrath of Kahn” and “Empire Strikes Back.” Those are the two that we said, “They did it right. Now let’s look at what they did right.” There were so many others that didn’t feel as good as the first. For those two, what we found was that they really gave room to explore the characters, and the villain plotlines were very simple but the stakes were very high. But the less you get bogged down in complexity, the more you can let the audience enjoy what they really like, which are the relationships. It’s putting yourself in the seat of the audience and saying, “What do they want to see?” I think they want to see more but you want to go bigger. You go from “Alien” to “Aliens.” Then you want to show them the characters that they’ve invested in, how they’ve changed and change those dynamics by introducing new characters that don’t just add to the action but throw the relationships into a little bit of a curve ball. We’re not feeling any pressure right now to rush to the whole Mandarin through-line. It’s still intact. We’re consistent with it. We know where it’s going but I think audiences are pretty sophisticated. I watched the whole first season of “Lost” and of “Heroes” not having to know everything about what was going on but I felt there was a consistency to those worlds. So in this case, with Mickey Rourke [as Whiplash], we definitely did want to have an origin story. We wanted that origin story to shadow and mirror Tony because he’s introduced this technology into the world and how does that affect the world? We’re dealing with an arms race, that’s what “Iron Man” has always been. The thing about an arms race is, when you stop, the world doesn’t. You have windows of opportunity to change the world in good ways while all the bad forces are paralyzed. What happens when those other superpowers emerge? It changes your tactics. Iron Man is dealing with the results of his saying, “I am Iron Man” [at the end of the last film]. What that means is, to keep the world at bay with that new technology, how does he do that now with the emergence of Mickey? How intense did the scenes between Robert Downey Jr. and Rourke get? 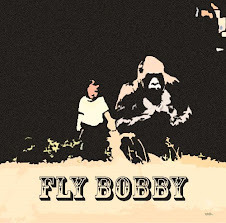 Mickey and Robert didn’t work together a lot and Robert had really gone out of his way to get Mickey involved. They were on the tour for the awards season last year together and they kept popping up at the same events because they were both nominated for Oscars. So Mickey was definitely very appreciative that Robert fought so hard to get him, as did I. So off-camera there was a lot of mutual respect and appreciation but of course on camera, they’re two strong forces that definitely squared off against one another. What did new cast members Rourke and Scarlett Johansson bring to the Iron Man film mythos? Well, Scarlett [as the Black Widow] not only works us towards the Avengers but also changed the dynamic between Robert and Gwyneth [Paltrow, who plays Pepper]. One of the other traps you don’t want to fall into is just repeating the same dynamics and turning it into “Hart to Hart.” You don’t want it to be “Moonlighting.” You don’t want to have the same thing over and over again. It’s not a television series. It’s a movie so you have to change things and you have to create a beginning, middle and an end so that it doesn’t just feel like an episode in a series of films. With Mickey, I didn’t want to just have two guys in robot suits hitting each other again. I wanted to have a different type of villain that used the same technology, existed within the same framework and rules of our world, but that was going to present not just a challenge physically but also in how dark he was; how he’s related to and how his fate and Tony’s fate are connected. “Iron Man” was so widely accepted by fans and critics alike, do you feel a lot of pressure to deliver a sequel that’s better than the first film? I didn’t feel any pressure. Maybe I’m oblivious but the only pressure I feel is to the fans. Unfortunately, the way sequels work is that they market them and sell them based on the first one. If you have a successful film, they could run it into the ground and sell your second film based on the first one. So commercially, you have a safety net. The trick is, as a filmmaker and somebody who loves the movies that I make and the source material, I don’t want to fall into that trap. So the pressure is completely self-imposed. I want people to like this movie as much, if not better than the first one. That’s the game of chicken I’m playing but there’s a safety net knowing people will check it out. People stay away from our weekends with other movies and it’s going to get marketed well. The success of the first one that I really appreciated wasn’t just that people went to see it, it was that people were charmed by it. We want to make a charming film that doesn’t lose track of what we did the first time around and that’s my job in bringing new cast members in that are consistent. It’s bringing an ensemble that can be stewards of their characters because we change stuff. Writing on these movies is something that’s a living, breathing thing and I want to give us the freedom that if we discover something in one scene, we can change a scene in the next act to support that. Is it difficult building a sequel to “Iron Man” because you’re also trying to set up for an Avengers film as well? Yeah, but I think that’s fun. I think it’s inevitable and “Avengers” might be the thing that helps rescue us from the sequel slump that you get into because you’re throwing everything on its ear. It might be a failed experiment or it might be something wonderful, but it allows you to add complexity in an organic way. Where you’re culminating with something bigger as opposed to trying to play out and not repeat the same story over and over again. There’s an “Iron Man 3” and here is how I know. When they make the option deals they include “Iron Man 3” so I know they’re planning on three. Whether that would be before or after “Avengers,” I don’t know. They’ve announced that “Avengers” is next but they pushed back “Avengers” once, which I thought was encouraging. Is it encouraging because it gives you more time to breathe? It does. And my involvement has yet to be determined on that project. Remember, you have to take into account what “Thor” is and you don’t know that until the film is locked. You’re not going to know about “Thor” for two years and what that really means. And “Captain America,” they haven’t even started prepping yet. So there’s a lot of discovery that has to take place before you can understand what “Avengers” really is. What is your role in the Avengers process, such as it is? We talk about it and really Iron Man is their flagship franchise right now that we’re making a sequel for. It’s the one that’s informing the others the most so I feel like I’m chopping my way through the jungle and “Avengers” will eventually be an oasis somewhere down the line. I’m pretty much hands-on day-to-day just on “Iron Man 2” but I think they’ll learn from what I’m discovering now and that will inform the next one.